As you approach our church, from the outside, you will see a beautifully maintained Victorian structure. This building has always been used as a house of worship and is now about 105 years old. 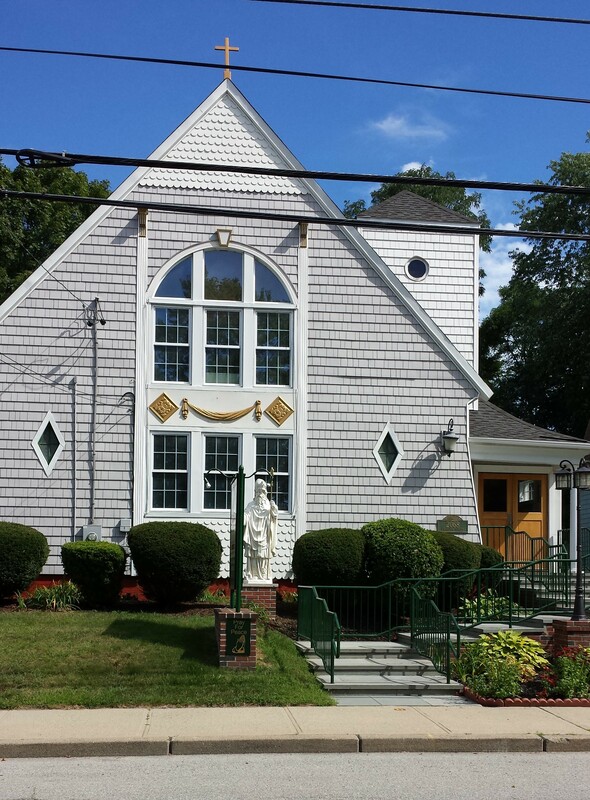 The parish building is comprised of a church nave on the first floor and a parish hall in the basement. 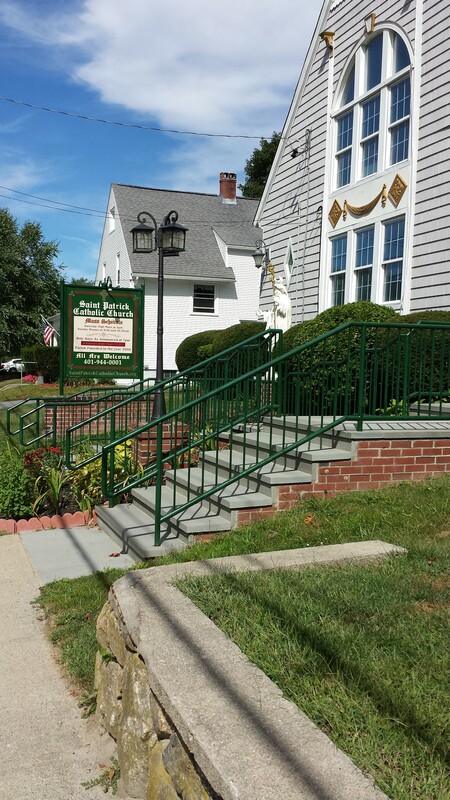 Our church features an adjacent parking lot for about 30 vehicles and there is plenty of on-street parking, in this quiet and picturesque Meshanticut Lake area, at the extreme end of Cranston Street. 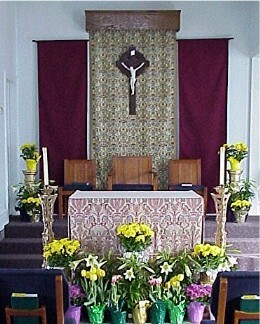 Our Church sanctuary is beautifully appointed as seen here in the Easter season. The church’s seating is small, accommodating about 100 for Mass. 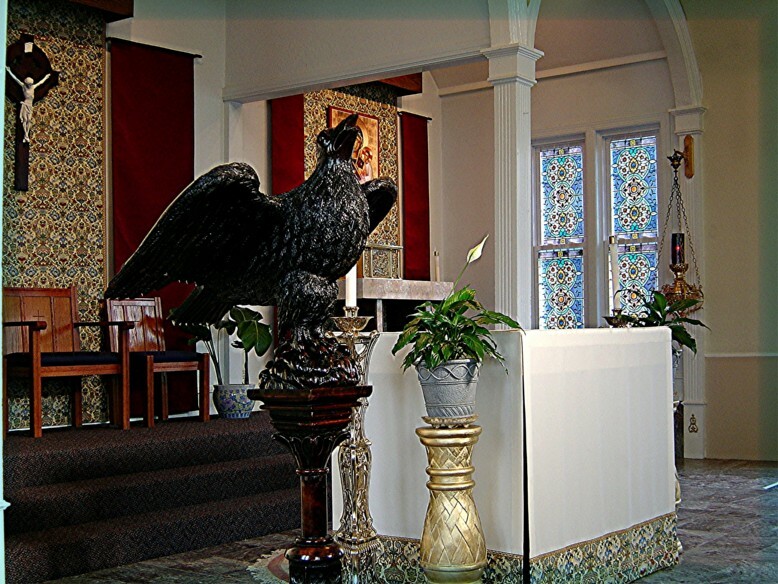 Please stop by for private prayer or visit us for weekend Mass.